Sometimes the hardest thing to do is to decide to do the right thing. Every year we get a handful of Scouts who decide, for one reason or another, not to continue in Scouting. They decide that they’d rather play sports, or are heavily involved in music, robotics or other activities. They think that there isn’t any time left for Scouting. For many, it takes a stretch of faith to understand the benefits of the Scouting program for our sons. This is especially true in a troop where youth leadership is given lip service, where the adults take a larger-than-necessary role in troop operations and planning, and where troop meetings and campouts seem more like Scout school than a training ground for future leaders at a youth level. 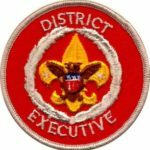 While any child will most likely grow to resent his parents’ actions of making him do something he doesn’t want to do, or doesn’t enjoy doing, Scouting is one of those unique opportunities that doesn’t require total devotion in order to make a difference. Remember, our mission isn’t to win championships or tournaments, but rather to instill the values of the Scout Oath and Law. Certainly, maximum benefit is derived from consistent involvement, but even if a boy only participates occasionally, he will still absorb some of those values, and grow to be a better person for it. So, when a boy comes to you and says “it’s just not for me,” find out what that “it” is. Camping? Hiking? Pioneering? Pointless troop meetings? Remind him that there are over 120 merit badges on nearly every subject under the sun (with more added all the time), so he can have a new experience and earn recognition if he has an interest in aviation, or bird study, or chess, dog care or engineering – the list goes on. From your conversation you can gather what the troop is lacking and help the youth leaders understand what needs fixing. But don’t let him walk away – at least not without a challenge. Encourage him to stay involved, even if only on a part-time basis. Even if he only reads Boys’ Life and rarely comes to campouts or meetings, he’ll still be deriving value from the program that’s aimed squarely at the needs, likes and ambitions of teenage boys. And he’ll be showing others that even if he’s overbooked with theatre, music, sports, robotics, debate and everything else young people do these days, he can still find the time or the interest to stay involved in Scouting. There may be no “right” thing to do, but Scouting surely ranks among them, and even though it may be difficult to make the time, it says a lot that he didn’t take what might be the easy way out and just quit. As a footnote, it should go without saying that no boy should be denied the opportunity to experience Scouting for lack of financial resources. Your troop needs to provide the means by which each and every Scout can earn his own way, and offer flexibility and assistance as needed. Compared with other youth activities, Scouting remains among the most affordable, and you should try to keep it that way. If money is the reason he’s leaving, work out a plan to cover the cost with fundraising or in installments. Previous PostPrevious Look at yourself! Next PostNext Webelos den leaders: What’s your most important job?